Learning about fetal development week by week can be a guide for you to ensure that you do everything you can for your unborn child’s overall health. 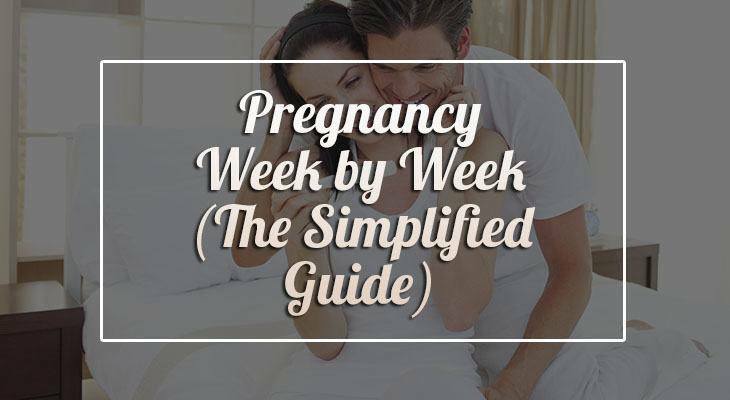 If you’re looking for a week-by-week guide to pregnancy, you come to the right place! We’ve got loads of info about each week of pregnancy and trimester. 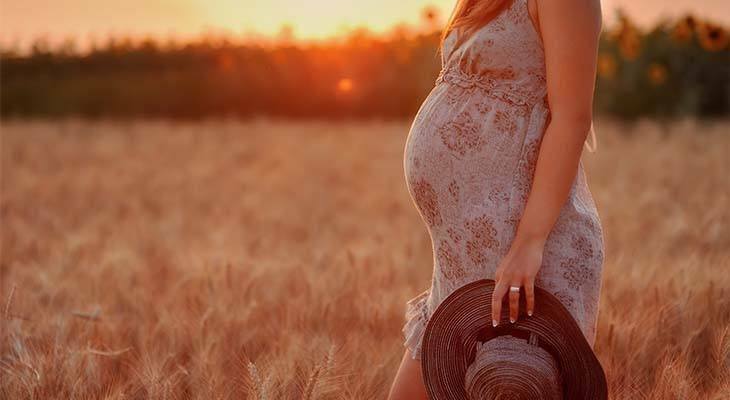 In this article, we’ll explore what’s happening with your growing baby and what changes to expect for yourself during pregnancy. The journey to becoming parents starts when mommy becomes pregnant. Your body and your baby’s experience in the womb are directly connected. Read on to find out more about fetal development and equip yourself with the knowledge you can share with your family, friends, and colleagues! Want to learn more about your baby’s journey when he’s finally born? Check out this article – Baby Development and Premature Baby Development. Baby Week by Week: Development Inside Your Womb! Fetal development starts at conception and will continue until labor. After nine long months of pregnancy, you’ll hopefully give birth to a healthy little baby. But what does actually happen during pregnancy? How does a baby’s growth actually happen during this period? Knowing how your baby is developing inside your womb may help you feel more connected to him. It can also be a good guide on understanding how your baby is doing during a particular month of your pregnancy. How does a baby form? Where does the baby grow? When does a fetus become a baby? Want to discover additional helpful tools for baby development? Check out these articles – Baby Development App and Baby Development Toys. There are a lot of different ways to study pregnancy. You can choose to look at pregnancy through your needed diet, on what exercises you can do, on what doctors advise you to practice and what to avoid, and a whole lot more. A pregnancy month by month guide can show you a lot of things about what you’re about to go through. Or if you want a more thorough discussion, why not look at pregnancy week by week? A full-term pregnancy usually lasts for 40 weeks, but most women would give birth during the 37 to 42-week mark. If you just want a brief overview to understand better the changes your body (and your baby) will undergo, you might want to look into the guide below. 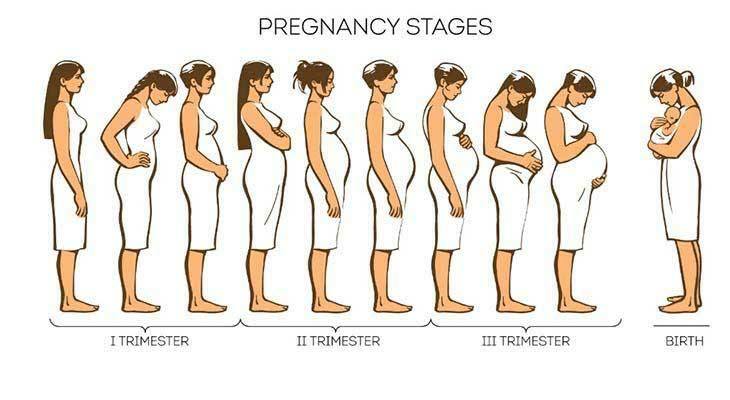 It discusses pregnancy during its three major stages. Most people know that pregnancy has three trimesters. But how are they divided? Firstly, a trimester roughly lasts three months. In each trimester, significant changes occur both to your body as well as your baby. The first trimester happens during the first week of pregnancy all the way to its 13th week. It is also considered the most fragile stage of your term. Great care must be taken during this time of pregnancy. This is the stage where your body rapidly experiences changes. No, you won’t look pregnant yet. If you don’t tell, nobody will realize you’re pregnant. However, your body will try to accommodate your growing baby as much as it can. That’s why there will be significant hormonal changes, additional blood supply, and many more. With these comes the more common symptoms of pregnancy like morning sickness and fatigue. Because your baby is just beginning to grow while your body is undergoing a lot of changes, the risk of a miscarriage is high during the first trimester. That is why you should take prenatal vitamins, avoid caffeine and smoking, and talk honestly with your doctor so she can help you have a healthy time during pregnancy. The second trimester is between the 14th week and the 27th week of your pregnancy. It is the most comfortable stage of your term. Many consider this stage as the easiest stage of pregnancy. Most of your earlier symptoms will gradually disappear to be replaced by new ones like heartburn and cramps. Aside from that, you will also feel an increased appetite as well as experience significant weight gain. So, you might want to look out for your diet during this time. And, add to that the fact that your uterus will also be expanding to accommodate your growing baby. It might be time to invest in maternity clothes. By the second trimester, you are in a safer zone and can now announce the good news to your family and friends if you wish so. Also, this is the time where your social media will get filled with your pregnancy announcement and congratulations from friends and family. You may even start feeling your baby move by the 20th week. The third and final trimester lasts from the 28th week of your pregnancy all the way to the day of your baby’s birth. It’s a good time to get yourself ready to meet your baby because it won’t be long until you have him cradled on your arms. During the third trimester, women are advised to stay near their doctor or midwife in case they go into labor anytime. You will definitely see more of them either way as regular check-ups would happen just to make sure you and your baby are ready for the big day. During the third trimester, most women would experience a lot of travel restrictions. Cruise ships and airplanes would rarely allow a woman who is 28 weeks pregnant or farther to travel with them. As such, take this time to rest and relax. You’ll be needing all your energy once the baby is born! A pregnancy development week by week guide isn’t the only thing you need to familiarize yourself with when having a baby. Of course, it’s also important to take into consideration your little child gradually grows. The growth of the fetus week by week guide may be an excellent way to feel connected to the life growing inside you. It does help you to get more prepared by knowing how your baby is developing inside your womb. During the first month of your pregnancy, the fertilized egg is called an embryo. Gradually, it will form a fluid-filled sac around itself called the amniotic sac. It will help protect the embryo. At this stage, the placenta will also develop to give the embryo the nutrients it needs to grow healthily. Your baby’s heart will even start beating sometime during the latter part of the month. He will also start forming his very first organs like his mouth and throat. By the end of the month, your baby will almost be the size of a grain of rice. That’s right! Very small indeed. By the second month, your baby will continue developing more body organs. He will already have ears. Tiny stubs will also appear and is the starting point of your baby’s arms and legs. Your little one’s eyes, as well as fingers and toes, will start forming during the second month. Right now, his head is quite larger than his body. At Month 2, your baby’s neural tube which consists of his brain, spinal cord, and etcetera would be present already. His digestive system will also start to develop. By week 6, your baby’s heartbeat is detectable. At the 8th week mark, your baby can now be called a fetus. Rejoice, your baby now has fully formed arms, hands, fingers, feet, and toes! He can even start closing and opening his fists. During the third month, your baby will also develop nails as well as teeth. The baby will also form reproductive organs (although his gender makeup has been around since conception). His liver can now produce bile, and both his urinary and circulatory systems are now working. At the end of this month, your baby will be fully formed. Of course, this doesn’t mean he’s ready. He’s far from it. He will need the remaining months to develop and strengthen his body entirely. Because your baby has already passed the most critical stages of development, the chances of miscarriage will be significantly lower from here onward. The fourth month is all about developing your baby’s body all the more. His heartbeat is now definitely audible through a Doppler. His nervous system will also start to work. His skeleton will even begin to harden into bone from the cartilage-like structure is had before. His eyes can also blink, and his circulatory system is fully developed. Aside from that, your baby now has his very own set of fingerprints. By this time, the reproductive system and genitalia are also fully developed. You can now ask your doctor for your baby’s gender during an ultrasound. Your pregnancy becomes more visible due to your baby’s gradual growth. During this month, you might even feel slight flutters. These flutters are your baby moving, trying to develop and exercise his forming muscles. It is also during this month when hair starts to grow on your baby’s head, shoulders, back, and temple. By the end of the month, your baby can do a whole lot of different actions like sucking his thumb, yawning, and even making faces. At the sixth month, your baby’s skin takes on a reddish color from his previous almost-translucent hue. Veins are very visible still. He can also respond to different sounds by moving when he hears it. Babies that are born at the latter part of the month, there is a small chance of survival if they are put in NICU (Neonatal Intensive Care Unit). Your baby will start forming fat reserves during the seventh month. He now moves more frequently and keeps changing positions. Your baby’s hearing is also fully developed by this stage, and he can respond to more stimuli like light and pain. Babies that are prematurely born during this month, there is a better chance of survival. Your baby is rapidly developing by the eighth month. Most of his internal systems are well-developed already. However, his lungs might not be as developed as some of the other organs. Your baby’s brain is developing at a fast rate, and he would most likely be kicking up a storm now (literally!). By the ninth month, your baby’s lungs are fully developed, and he can do a whole lot more actions. Your baby can blink, turn his head, grasp, and even respond to touch. Your baby’s reflexes are also coordinated during this period. Don’t be too alarmed if your baby doesn’t move as much by this time because of the tight space. He will just move enough to position himself correctly for labor and delivery on month 10. There is no much activity in the womb except waiting for your baby to arrive on month 10 of pregnancy. You probably know HOW your baby is formed. But do you actually understand the complex and life-changing process that happens during this moment? A baby is formed during fertilization or conception. 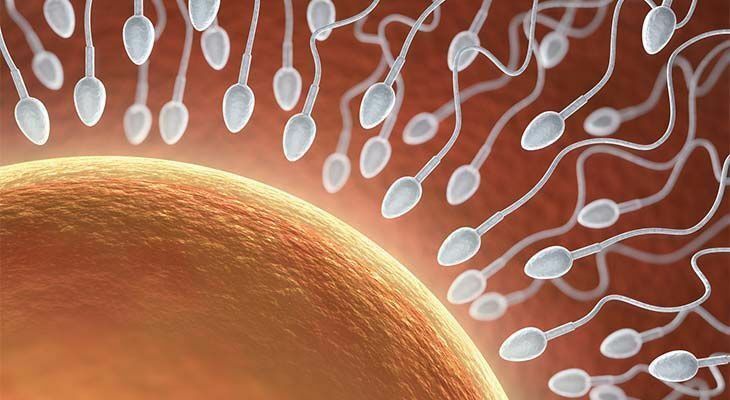 That is when a sperm from a man meets an egg from a woman. But this process goes way back before fertilization. Every month, a woman’s body takes a group of eggs (oocytes) from her ovary and waits for one of them to mature for ovulation. Ovulation is the process of releasing an egg. This usually happens two weeks before the start of a woman’s menstrual period. When a woman ovulates, she releases an egg and waits for a sperm to fertilize it. If no sperm is successful, the egg disintegrates and the woman’s menstrual period begins in two weeks. Millions of sperms travel towards a woman’s egg, but only a few thousand would make it past the cervix. Out of those survivors, only one sperm may be able to penetrate the egg. When that happens, it is called fertilization. When fertilization finally occurs, the entire genetic makeup of your baby will be finalized. Yes, even then, he already has a gender. Want to know more about what your baby will learn as he grows older? Check out these articles – Baby Speech Development, Baby Eye Development and Baby Brain Development. It all starts in the fallopian tube. In just 24 hours, that fertilized egg inside a woman’s fallopian tube starts breaking into lots and lots of cells. This will go on for three more days before the fertilized egg travels down towards the uterus. While making its journey to the uterus, the fertilized egg (called a blastocyte) continues to divide into cells. Once it reaches the uterus, the blastocyte’s next job is to attach itself to the endometrium. The endometrium is the lining of the uterus. When the blastocyte attaches to the endometrium, it shells out its protective covering. That is why some women may experience spotting or light bleeding during this stage. Once firmly attached, the blastocyte (which will turn into the fetus) will remain in the uterus until it’s time for the woman to give birth. So, when does a fetus become a baby? Unfortunately, this question cannot easily be answered like other pregnancy or baby topics. That’s because this question is a subject of a very heated debate. One side could argue that a fetus only becomes a baby once it is born. The other could reply that a fetus is already a baby even while inside the mother’s womb. To give you a little bit more background on this situation, let’s start by defining what a fetus is. Let’s begin with scientific terminology. During conception, the just-fertilized egg is called a zygote. While it travels down from the fallopian tube towards the uterus, it is a morula. About 5-12 days after conception, it is now called a blastocyte. From day 12 to about six weeks, it is then named as an embryo. From the seventh week onwards until you give birth, you now have a fetus. Some people can easily believe that the growing fetus inside your body is already a baby, whether he’s just a bundle of nerves now or a fully developed unborn child. Unfortunately, others think that a few groups of nerves with a heartbeat isn’t fairly human yet; therefore, is not yet a baby. Now the American Pregnancy Association states that what an adult human has, the fetus already has as well. However, no amount of scientific terms can satisfy the political and ethical points of the said debate. Therefore, we’re at a stalemate. The best thing you can do is the research yourself. Check out multiple sources on the topic and study all the angles you might encounter. At the end of the day, you might be able to form your own opinion on the matter. Want to learn more about how your baby will develop? Check out this article – Baby Language Development and Baby Vision Development.